Guestline are pleased to announce the latest ‘Wish you were here?’ winners as The Bear Hotel, Devizes in Wiltshire! Ideally located in the heart of the bustling town of Devizes, The Bear Hotel is in the perfect location for business and pleasure. 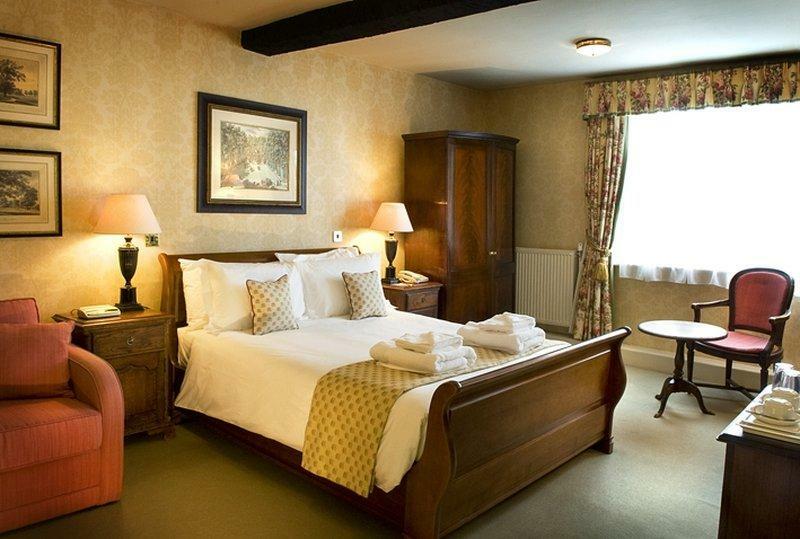 Boasting 25 luxurious en suite, four poster rooms, this hotel offers a relaxed and traditional atmosphere. The hotel offers a beautiful restaurant for guests to enjoy, the Lambton’s Restaurant, named after one of the most famous paintings by a former landlord's son and president of the Royal Academy at that time, Sir Thomas Lawrence. For a more casual dining experience guests can also use the Bear Grills Bistro. The Bear Grills Bistro is an informal lunchtime and evening Bistro open seven days a week offering dishes such as beer battered haddock, chips, garden peas and tartare sauce and iced mango and passion fruit parfait, Chantilly cream, seasonal fruits and chocolate drizzle. This hotel offers conference and meeting facilities to accommodate corporate clients and has a fantastic reputation for weddings and special celebrations. If you are looking for a hotel with character and charm, The Bear Hotel, Devizes should be top of your list!